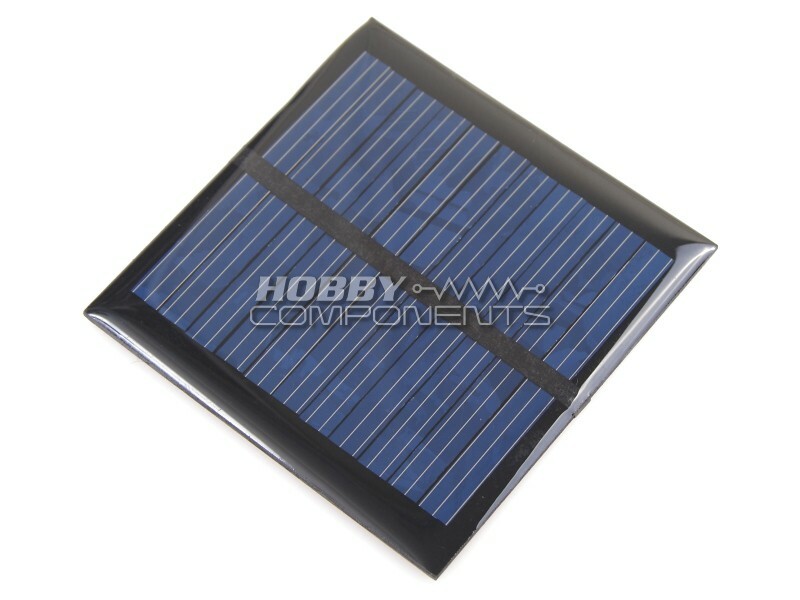 These solar panels are suitable for small home projects, science projects, electronic applications, charging small DC batteries and building your own powered models/toys/solar displays etc. The solar cells are encased and protected by a durable outer poly frame. Why is the amount of current I get from my solar panel lower than the specification? When the Sun is directly overhead the amount of potential energy it produces is about 137 milliwatts for every square centimeter of area it hits. For this panel the actual area of the cell is about 5.6 x 5.2 cm (rough measurement), which is about 29 centimeters squared. This gives the maximum amount of energy that the cell can collect as 3.973 watts. The manufacturer specs this cell at a maximum output power of 0.6 Watts. This means that the cell is approximately 15% efficient. i.e 15% of the energy in the sunlight will be converted to electrical energy by the cell. 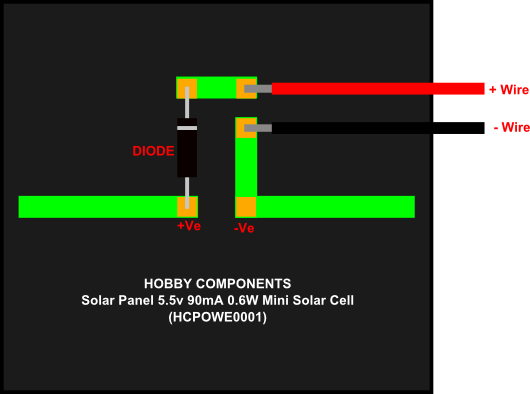 This figure is pretty typical for a photovoltaic cell; therefore, based on these rough calculations, this seems quite reasonable. In winter the sun is significantly lower in the sky, and in mid winter the amount of energy can be only a third of what it is in mid summer. This is because the sunlight has to travel through more of the Earths atmosphere and so gets reflected, scattered, and absorbed by water molecules, dust and other pollutants. Based on the above calculation, a third of the amount of available energy in mid summer is about 0.12 Watts, or 22mA.